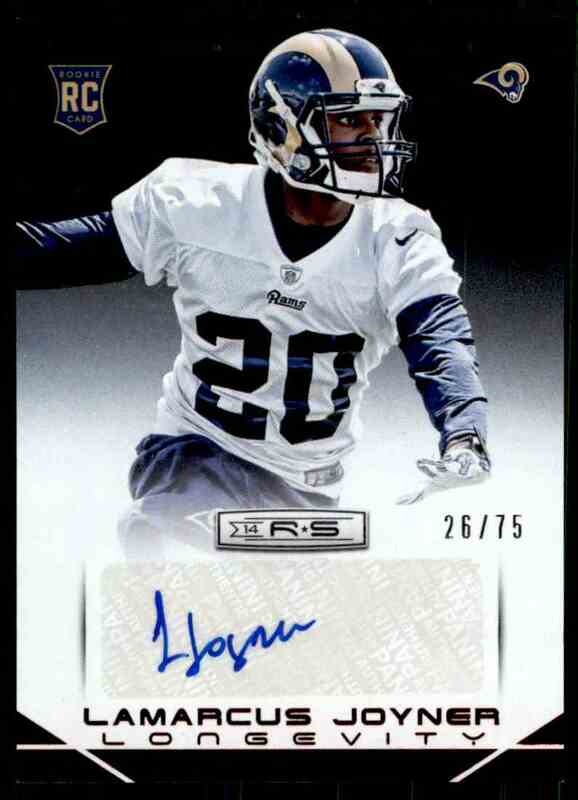 This is a rookie autographed Football trading card of Lamarcus Joyner, St. Louis Rams. 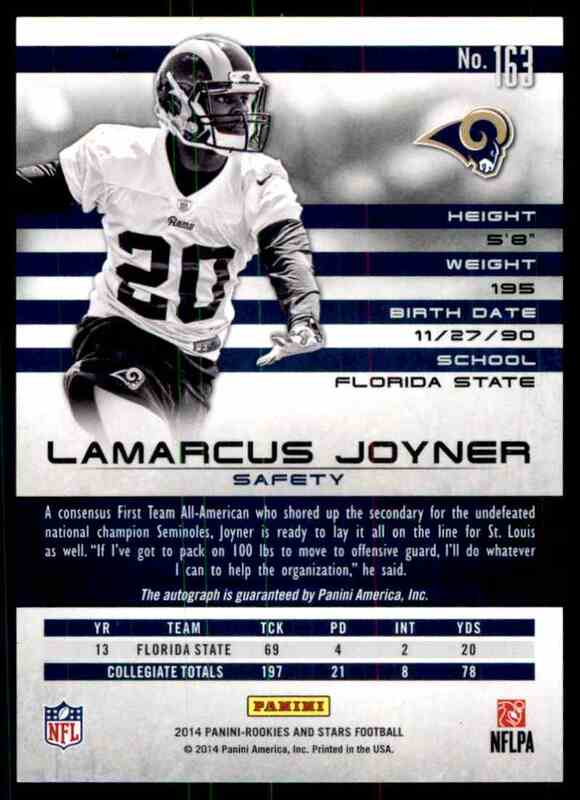 It comes from the 2014 Panini Rookies And Stars set, serial numbered /75. It is for sale at a price of $ 4.99.